I try to absorb a bit of the culture around me when I travel and discovered the words “Time to go home” are actually English for: “Time to go home.” I know. Impressive the way the languages tie together, is it not? What a wonderful 8 days we had in England. They say that “Liverpool is England and London is London.” That proves to be true. London reminded me much of NYC. Exhilarating, busy, culture, fun. I would love to return and have time to visit museums, see shows, explore. One tour day toward the end, we drove about an hour out in the country to Henley on Thames, a lovely historic town dating back to 1179 when King Henry II bought land to develop. Our last day, yesterday, was spent on a bus tour in the morning seeing some of the general British Rock and Roll sights around London. There may or may not have been a ‘Woot! !’ go out when a Rod Stewart mention was made. 🙂 Said “woot-er” may or may not have been me. 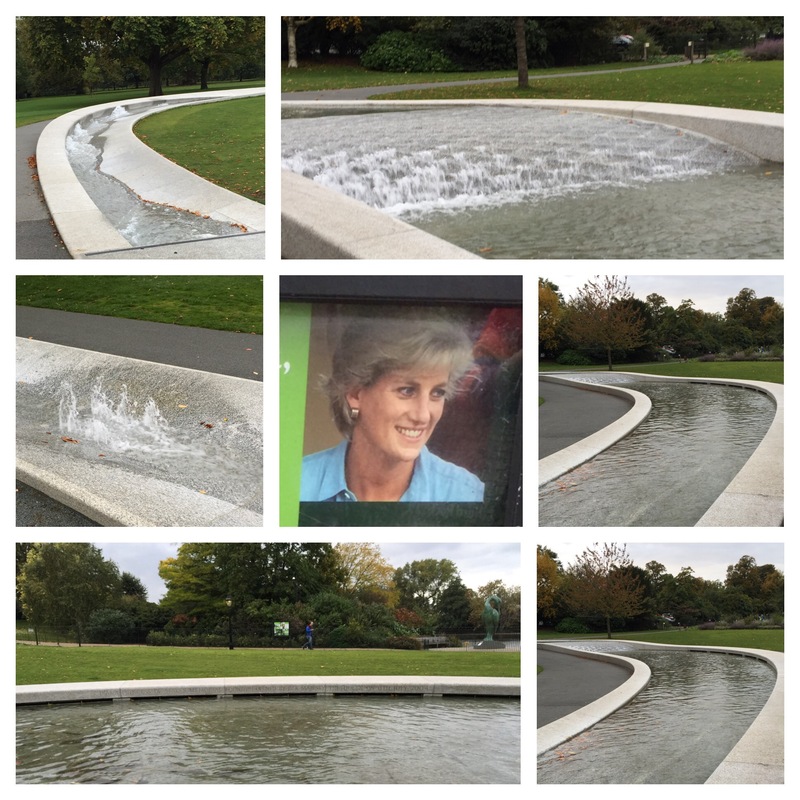 In the afternoon, we took the tube to see Big Ben, Westminster Abbey, Buckingham Palace, and a long walk through Hyde Park to see Princess Diana’s memorial fountain (lovely!). The weather on the last day turned a bit chilly and windy, but we have had such perfect weather all week that nobody complained. Who else has visited England for 8 days and not opened an umbrella once?! I have two coats that our tour guide said I would definitely need and were never worn. A nice problem to have, for sure! I know I have said it many times, but most of our group became close and saying good-bye the last night was difficult. Marilyn and the couple from Illinois (Richard and Claudia) decided to have dinner in the hotel while the rest of us (7 guests plus our host, Tony) went to a pub in the area. (There were 12 on the tour, but the mother/daughter duo rarely participated in tour activities, so we really only had 10 most of the time.) 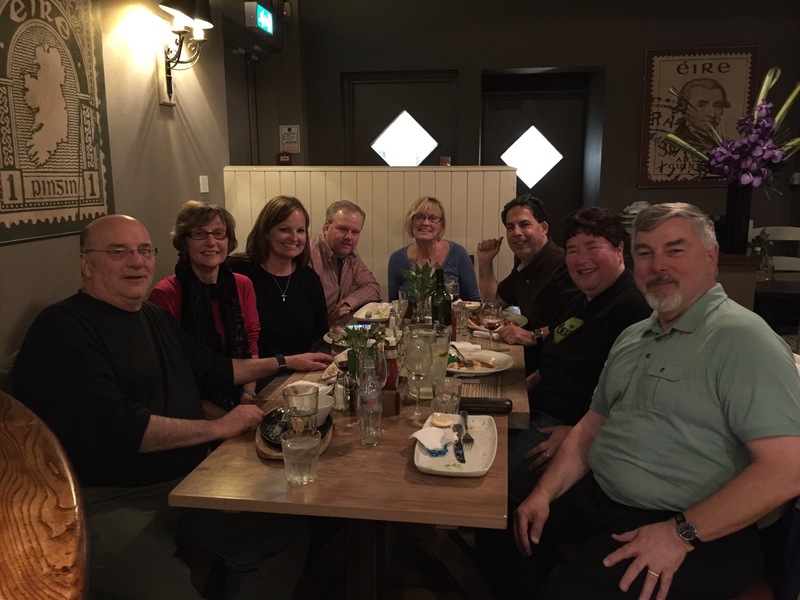 In spite of the pub being completely out of sticky pudding (😭), we had a wonderful farewell meal and a lot of laughs, hugs, and lingering good-byes with people we had become close to. Truly it was a wonderful experience and new friends that I believe both Marilyn and I will want to stay in touch with in the future. I came on the trip to accompany Marilyn, knowing I would have a nice time, but the trip exceeded every expectation in so many ways. I highly recommend the tour company, www.beatletour.com. If you are a Beatles fan at all and can go on one of Tony’s tours in the future, you will not be sorry. The guides who join the tour (Jackie Spencer, Liverpool; and we were treated to Tony Bramwell in London) are professional, full of inside information (some blush-worthy), and knowledgeable about the area. We were taken to old and wonderful pubs for meals, photo opportunities where the Beatles made movies or wrote songs, and many other places that are special to Beatles fans. Our flight to LAX was uneventful and we got in a bit early, breezed through customs and re-checked our bags on to Fresno, and are killing much of our 6-hour layover in the United Club, thanks to my free passes that were to expire later this year. I’ve managed to pick up a cold in the last day but have great plans to shake it before I leave town again on Saturday. Time to play a little catch-up with the blog if I can and back track to the last couple of days. They got busy, late nights, and something had to go … it wasn’t going to be any late night cappuccino or sticky toffee that I was giving up, that’s for sure! Oh, I’m so glad you guys had such a good time. It sounds wonderful. Nice of the weather to cooperate for you too! Did the rosemary make it?? 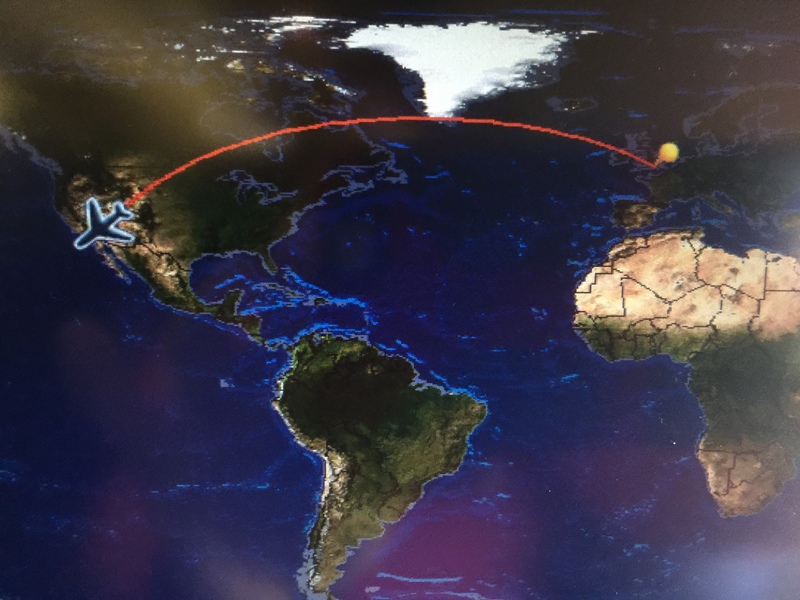 So where did you go next? Well, I was just in Reno, and now headed for Iowa by way of Omaha. Then I’m home for a glorious 6 weeks, I believe!